Canine distemper is a very contagious and deadly disease caused by a virus. Dogs and ferrets as well as certain species of wildlife, such as raccoons, wolves, foxes, and skunks, are at risk. Although there is no cure for distemper, the most important fact to remember is that it is preventable through vaccination. For dogs that have developed clinical signs of distemper, the prognosis is very guarded depending on the immune response and severity of symptoms. Dogs that develop neurological signs are the least likely to recover. While dogs of all ages can become infected with canine distemper virus, puppies—especially those with poor immune systems or those that are unvaccinated or not completely vaccinated—are at the greatest risk for this nasty virus, which is spread through the air or by direct contact. It invades the tonsils and lymph nodes first, and then spreads to the respiratory, urinary, digestive, and nervous systems. The symptoms of canine distemper depend on the stage of the virus. Your veterinarian will perform a thorough physical exam and take a detailed history of your pet, including vaccination status. Unfortunately, only supportive care can be offered once a dog becomes infected and develops clinical signs; if symptoms are severe, many dogs are not able to recover. 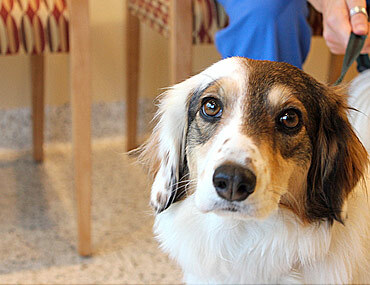 Even those dogs that appear to make a full recovery may develop fatal neurological signs of the disease later in life. Your veterinarian will recommend supportive therapy tailored to your dog’s needs; this may include hospitalization, fluid therapy, antibiotics, and treatment for respiratory, intestinal, or neurological signs.